Boston’s beloved sons of punk rock won the hearts of Fenway Park when they retold the classic song “Tessie”. Sponsors in this year’s South Boston St. Patrick’s Day Parade, “The Murphy’s” ensure that another tradition is being honored through Murphy’s boxing promotions. As a kid I watched boxing with my father and brother and bonded. We watched local boxer /brawler “Irish” Micky Ward in awe; attending Micks 1st and last epic battles with deceased hall of famer, human highlight reel, Arturo “Thunder” Gatti. 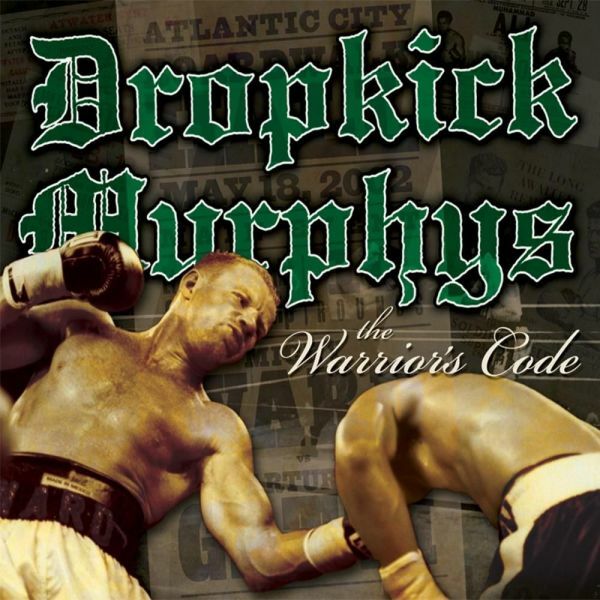 The Dropkick Murphy’s paid tribute to living legend “Irish” Micky Ward by creating “Warriors Code” and dedicating most of the song content/ entire album cover art to the “Mick”. The Dropkick Murphy’s Boxing promotions also helped Irish American Danny O’Connor rise to stardom only to lose dramatically in this years knockout of the year, via the hands of Gabriel Bracero. I am an amateur boxing coach/boxer who enjoys blogging and recording my favourite sport. Bloody battles occured when the Dropkick Murphy’s put on a night of boxing & sold out Melrose town hall. They are currently performing at the House of Blues right now and are set to put on a night of Pugilism and Punk this Friday at the House of Blues, don’t miss it! !